Rockaway Beach, NY | November 9, 2012 “They lost everything. 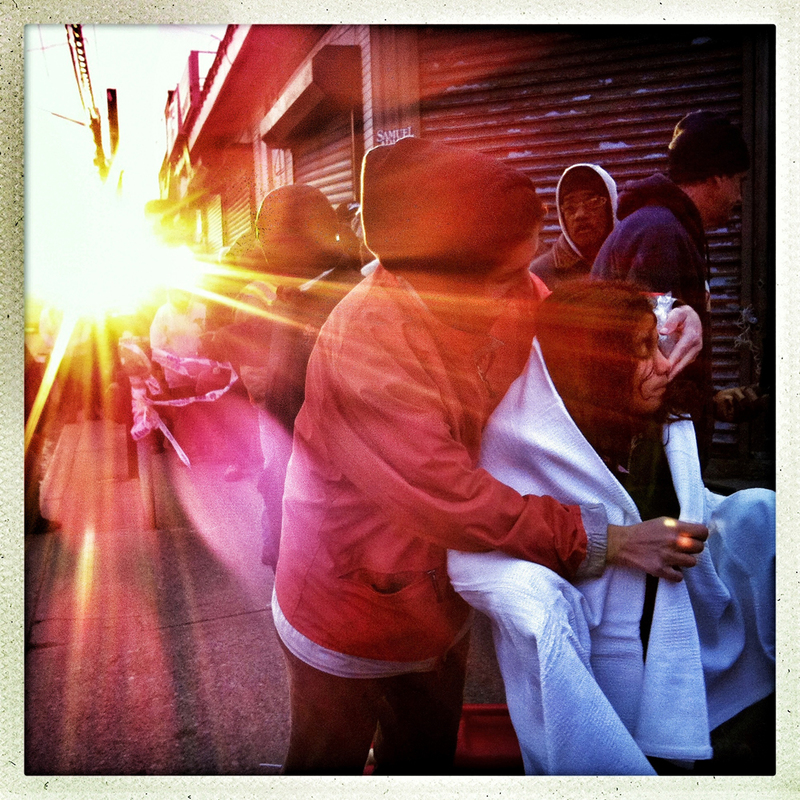 All their clothes, all their toys, their beds, everything… Right now we are staying with my dad,” said Marianne, cloaking her younger daughter Katrina with a blanket for warmth as the family waits in a fuel line in the hard hit neighborhood of Rockaway Beach. Many are still without electricity or heat.